The mascot of PortAventura has built his own lagoon in which little ones can embark on an authentic experience where boredom has no place. Woody, the mascot of PortAventura, has built his own lagoon in which little ones can embark on an authentic experience where boredom has no place. Delve into La Laguna de Woody at PortAventura and see for yourself that it is impossible not to have a great time with everything that our funny mascot has prepared for you. In La Laguna de Woody at PortAventura you will find a place full of different sensations where you can test your courage on slides, coloured walkways, dripping pipes, crazy fountains and surprise tunnels where maximum fun is guaranteed. But Woody is very naughty and likes to make sure his guests cool off, watch out! 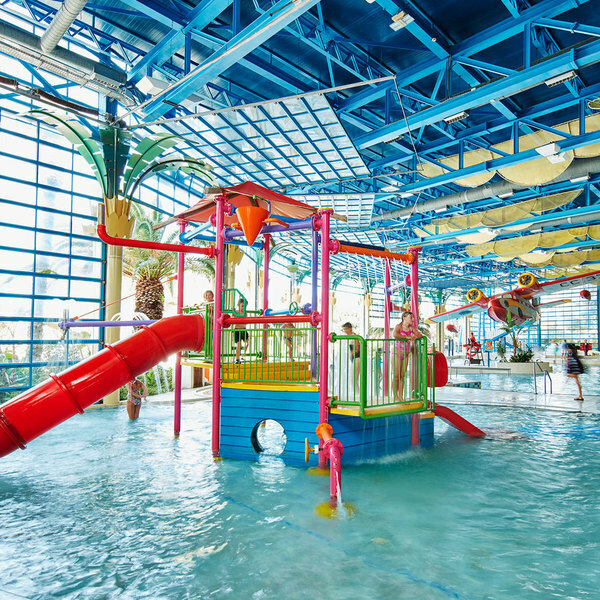 Junior Body Slides allows little ones to let their imagination fly and have the most fun ever in a great aquatic adventure. 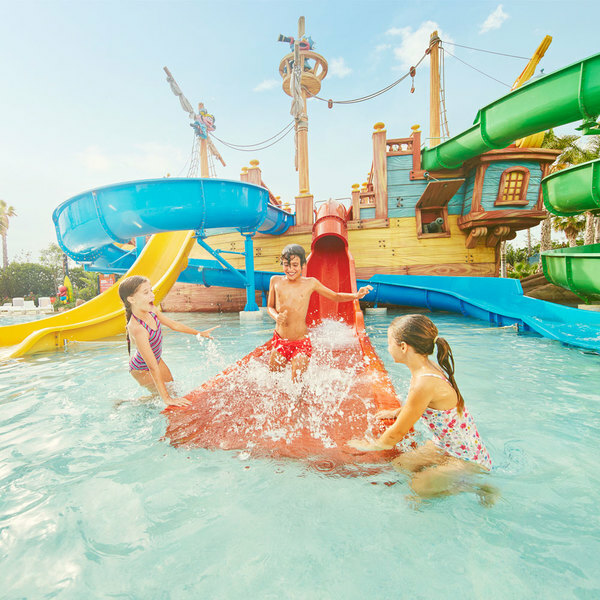 Designed especially for the smallest, but most valiant, pirates, El Galeón Pirata is one of the most fun and refreshing new children’s attractions at the PortAventura World water park. 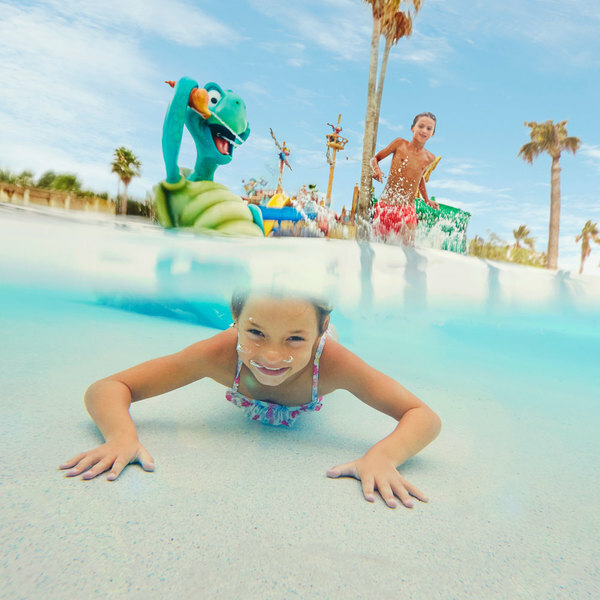 Sésamo Beach is the new children’s pool at PortAventura Caribe Aquatic Park., especially designed for adults and children to enjoy as a family.